Our next meeting will be held on Saturday 20 May, from 11am in Tikipunga. The venue will be advised in the agenda. Karen Phillips’ short story, Bush Walk, has been published on WriteUpNorth, a website set up to share the work of Northland writers. Another of her stories, The Gift, has been accepted for publication in an anthology to be published by Cloud Ink Press in August. Heather Whelan’s article, Everything’s Shipshape: A Visit to a Viking Ship Burial was published in the New Zealand Listener of 15–21 April 2017. Trish Nicholson has been invited to speak at two book festivals in the United Kingdom. She will also be giving talks and book-signings during a brief tour of the United Kingdom and the Isle of Man in June and July. The programme is on her website. Trish would also like to let members know of an international website that promotes women writers, ‘Women Writers, Women’s Books’. Posts can be on a wide range of writerly topics, and though they don’t pay for contributions, the site has a large enough following that the free publicity is worth the effort of writing an article. Trish currently has an article, Invisible Women In The History Of Literature, on the site. The site is also useful resource for writers. Vivian Thonger has started a Bay of Islands writing group, which meets monthly in Kerikeri. The group was featured in Flash Frontier last month: http://www.flash-frontier.com/2017/04/23/april-2017-feature/. Other writers’ groups in Northland can be found here. Kathy Derrick will be presenting a workshop, Grand Designs: Discovering the Building Blocks of Story, at this year’s Romance Writers’ Conference in August. This month’s featured book is Salt Skin by Michelle Rhodes (Michelle Cumber). When Sunny moves to the forgotten town of Procellae Bay, she doesn’t expect much. Plagued by devastating storms and shrouded in myth, it is a disturbing place. Amongst the shadowy residents, whispers flourish – of an ocean curse and ancient sacrifice – and the locals who trust in the old stories watch her, their chilling eyes laced with accusation. Being back near the water is her ultimate fear. Haunted by the memory of nearly drowning as a child, she’s convinced the sea is calling her again. At night it breathes against her windows, luring her down to the moon-drenched tide and into the deep. 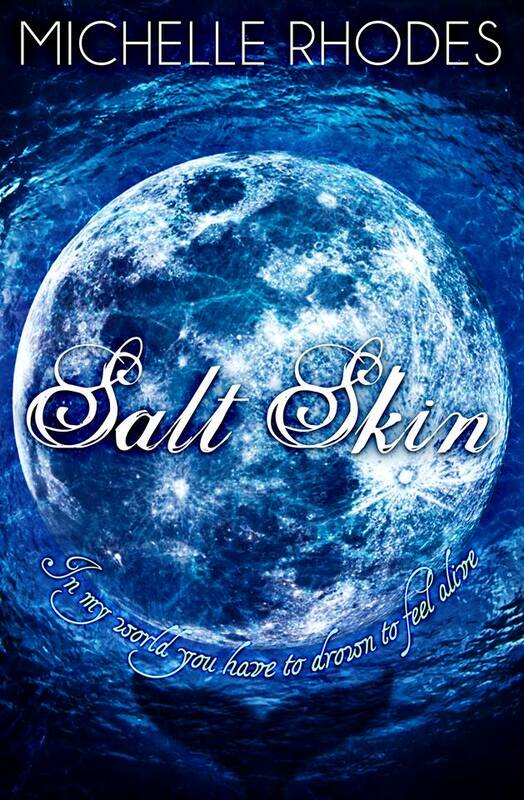 Salt Skin is available through Amazon or at the Paihia bookstore and Kerikeri Paper Plus. NorthWrite 2017 will be run in conjunction with National Flash Fiction Day on Sunday 25 June 2017, at Kings Theatre Creative in Kawakawa. The event will start at 1.30pm. A one hour workshop will be run by Vivian Thonger. Vivian is a local NZSA member with a degree in creative writing who writes flash and has had stories published in Flash Frontier. She runs a flash fiction group in Kerikeri and is one of the judges for this year’s Whangarei Libraries’ Flash Fiction Competition. Her workshop will focus on exploring creativity in flash fiction through written exercises and interaction with live music. After the workshop there will be readings of flash fiction from Northland authors. Dirty Word open mic poetry will be held at the Old Stone Butter Factory, Whangarei, Wednesday, 10 May at 7pm. A new poetry group is starting at the Whangarei Library. The next meeting is on Tuesday, 16 May at 3.30pm. All welcome. Great achievements, everyone. Trish speaking at conferences in the UK and Kathy Derrick speaking at what will be a fabulous Romance Writers Conference – because they always are.